No one likes the feeling of being left out, especially when it comes to fun parties. 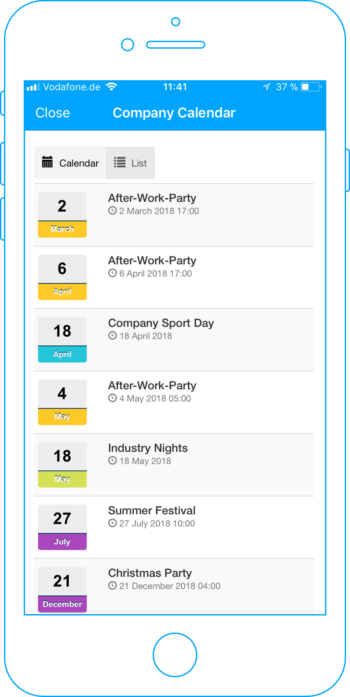 With a calendar in your employee app, you can give your people an overview of all upcoming company events and workshops. This gives everyone the opportunity to plan ahead and to know what’s going on in the company. 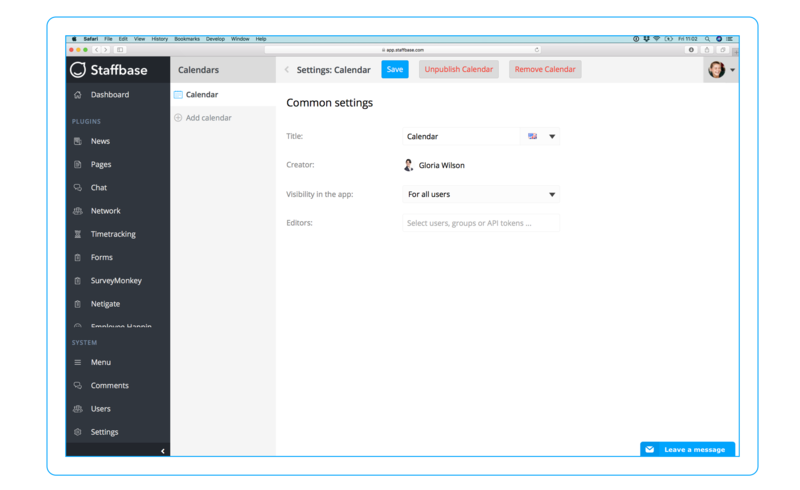 To use the calendar within your app, simply activate the Plugin in the admin area. Calendar overview of an entire month. Users see all events with assigned colors. 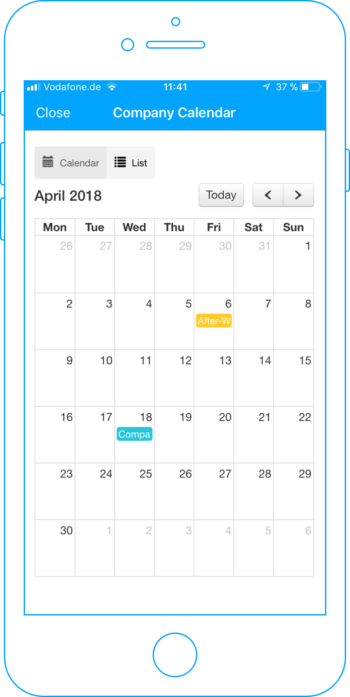 In the list view, users are able to get an overview of all events placed in the calendar. Different colors make it easier to recognize various types of events. Edit visibility and title of the calendar in settings in the admin area. 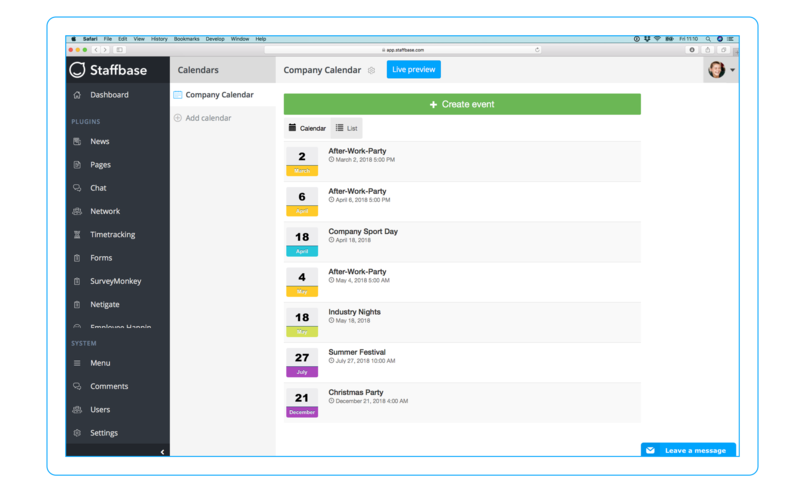 See an overview of all your created events in the admin area.